Tis the season- for friends and family to join, for good food to be shared, and for goals for the new year to start filling up in our minds. Unfortunately, my reassessing my goals is making it near impossible for me to continue working on my crafting and creativity and to share it with the world. I am going to need to take a break… Although it seems like I’ll be cutting a lifeline as I really feel a need to continue with my creative process, I’m really just putting my wants to expand my handmade crafting business into a coma. As you’ve seen in descriptions of me in my various online places, I’ve just got a lot on my plate right now- not a single serving of anything but a full dish of life. With the end of my husband’s lawncare business season, I had to reconsider what my priorities are with helping my husband’s business to grow so we have more income, and with working towards my “at home” income goals so I can be more available for my family and children and still provide a decent income. I know I will have my creativity side satisfied for a while- in the sense that I’ll have the holiday season to make my handmade items for family and friends- but I know I’ll crave moments during the winter months where I’m studying but wishing I could be painting instead. I know I don’t have many readers, or much of a fan-base yet, but I hope to be welcomed with open arms in the future when I find that I can put priority into the creative part of me that needs to be promoted. I may write the occasional story here, or post a simple recipe, but not much dedication will go into being on a schedule or being “theme” related. I thank you for looking. 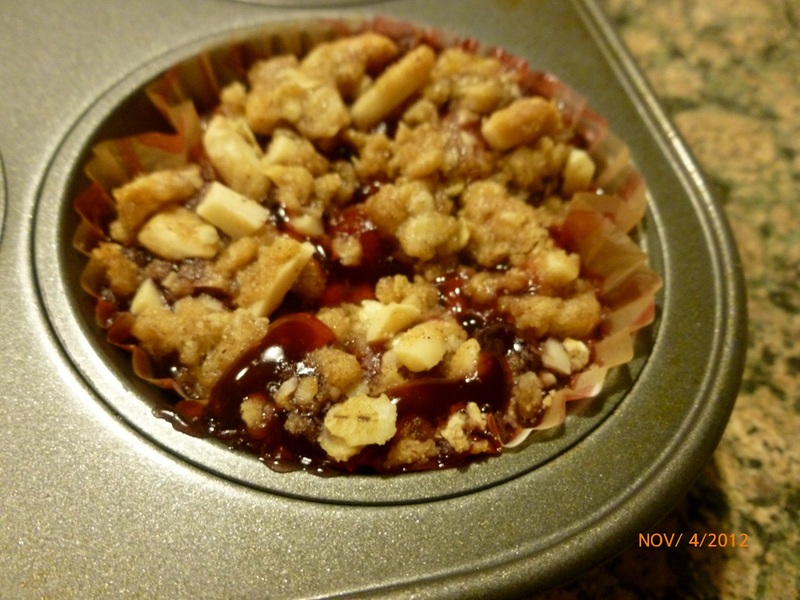 PS: To make single serve cherry crisp: Just find a recipe for cherry crisp that you like and make it in a cupcake pan with some heavy duty cupcake liners! (I topped mine with sliced almonds- yum!) Then carefully pull out, set on a plate, and enjoy! 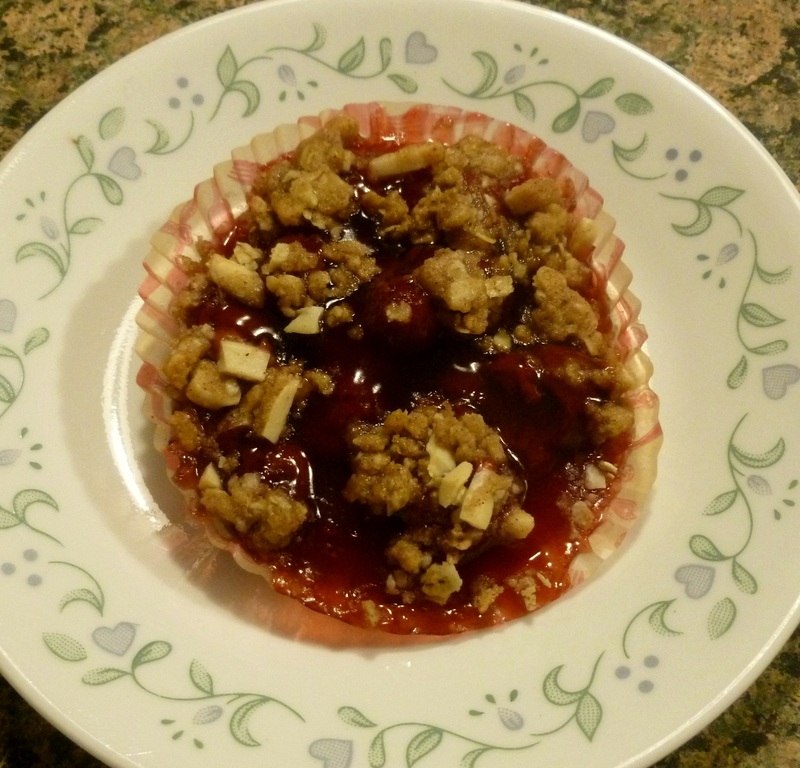 A great recipe idea for a simple serve dessert during Thanksgiving or Christmas! Whipped topping or ice cream would make a good addition too! 1. Make your cake brownie batter in a bowl, stir in the cup of chocolate chips, and set aside. 2. Begin making your peanut butter batter in a medium bowl by combining peanut butter, brown sugar, eggs, and vanilla. 3. Stir in flour and baking soda until you have a goopy glop in the bowl. Add peanut butter pieces and stir in. 4. Grease a large cake pan and preheat your oven to 350 degrees. 5. 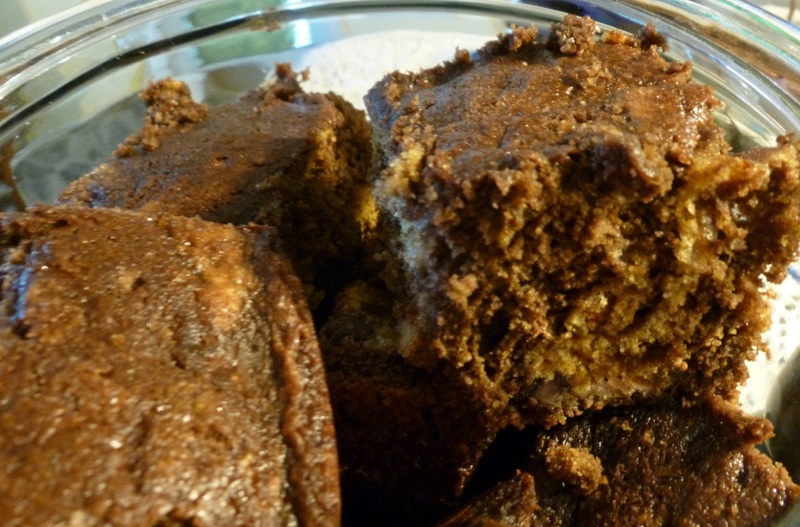 Begin dropping large spoonful dallops of the peanut butter batter throughout the area of the cake pan. 6. Pour chocolate batter over the peanut butter dallops and, using a spatula, carefully spread the choclate batter around the peanut butter parts. 7. Bake for about 18-20 minute or until a toothpick inserted in the middle parts of the pan (in chocolate and peanut butter parts) comes out clean. 8. Let cool for a couple hours. I’m sure these would taste great frosted!